Attackedastoria Nails: Livin' La Vida Loki Giveaway! Livin' La Vida Loki Giveaway! Hello, everyone! I’ve finally put together a giveaway.. took me long enough, yeah? I’ve had so much support, love, and encouragement over the years from the people who follow my nail art blog, and I’ve made so many friends as well. This is just my little thank you. I went with a Loki(The Avengers, Thor) theme, because my original Loki nails went over quite well recently. These are a scaled down, more simplified design. There will be two winners for this giveaway! 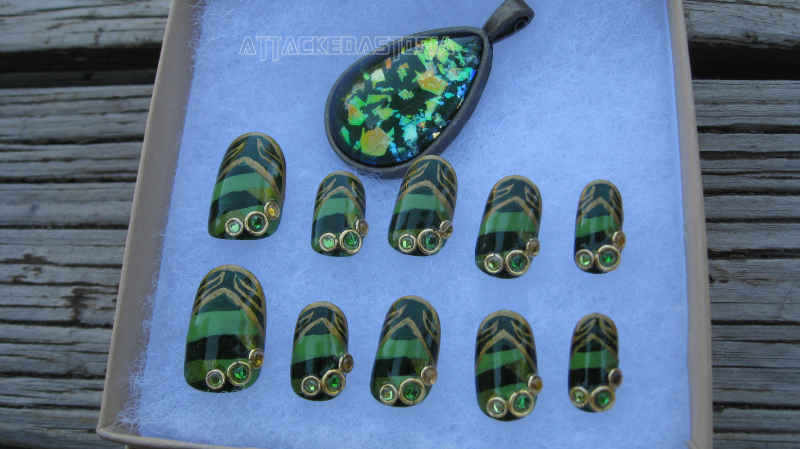 First Prize: Set of Loki inspired nails, along with a Loki inspired nail polish pendant! 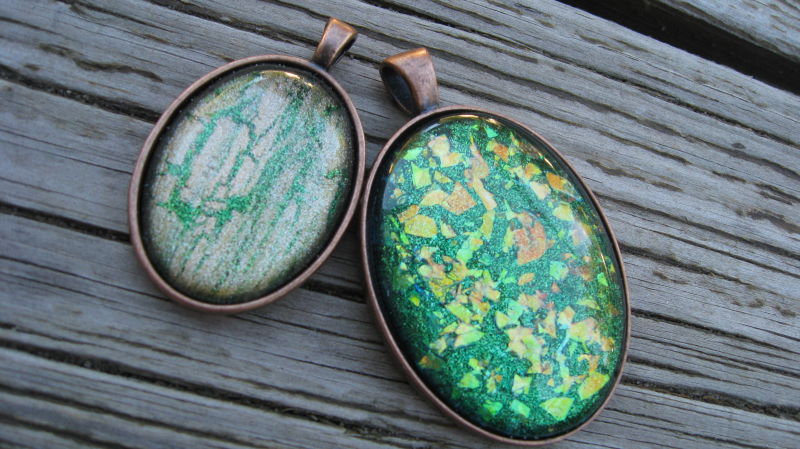 Second Prize: Two Loki inspired nail polish pendants! You have to be a follower of my nail blog, Through the Wormhole. New followers are more than welcome to enter. You must fill out the form on the giveaway blog post for entries to count. The giveaway will end on July 21st, and I’ll use a random number generator to pick the winners, who shall be contacted via email. I think that covers it.. good luck to everyone(if anyone) that enters, and as always, thank you for your support! Please fill out the form below to enter. Following me is required and one entry. Following my facebook page or sharing the giveaway on your own blog or tumblr counts as an entry each. Edit: Giveaway closed! Winners will be chosen Sunday evening! The rings are jump-rings for making jewelry. I always have tons lying around and they make neat nail art supplies.